This compact bed is part of the Cottage collection. It is a smaller model but has also two beds since at the bottom there is a container for placing a mattress, although it can also be used for storage if preferred. Along with the two top drawers this becomes a model with lots of storage space. The models in the Cottage collection are manufactured in 5 cm thicknesses and in a bicolour option; in other words, the interior and exterior can be different. You can check our available colour chart. The desk is mounted directly on the wall which means you can have a chest of drawers on wheels and move it easily at your whim. 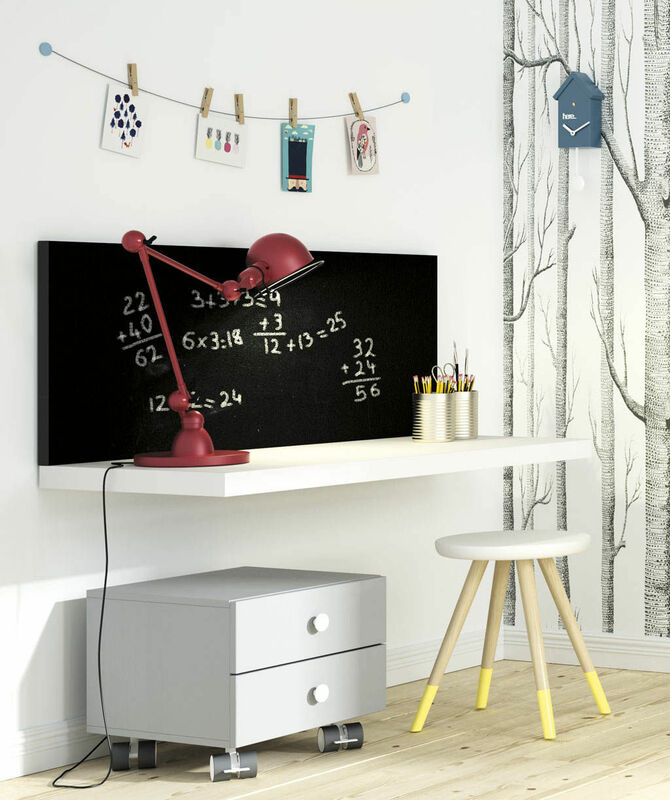 The vertical panel can be lacquered in blackboard paint which you can add, subtract or draw on. 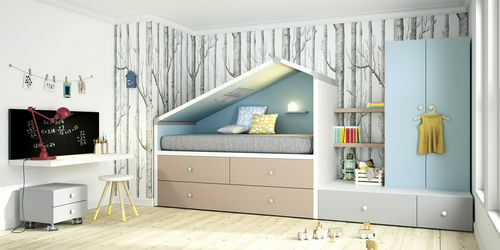 This wardrobe has a height of 162 cm, very convenient for little ones, so they can reach their clothes themselves. And if we need more drawers there is no problem, the wardrobe rests on two resistant Kubox 102 cm deep that are used for extra storage. All children need to feel that they have a special place in the house, where they can take refuge, feel protected and have sweet dreams. They can also invite a friend to spend the night thanks to the extra bed.